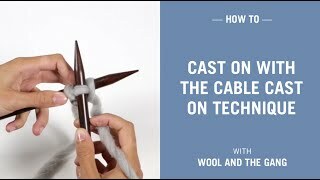 This easy to follow video tutorial shows you how to give a neat finish to your knits by using the vertical invisible seam technique. This technique is used to join the edges of knitted fabric. 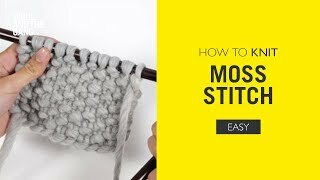 It is perfect for seaming up sweaters and hats. Like on the horizontal invisible seam technique, ensure a really neat result by adding safety pins to line up your pieces every couple of inches. 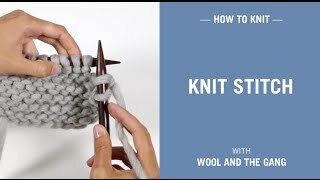 Place your knitted pieces side-by-side with the right side facing up. Insert the sewing needle under the first horizontal bar on one of your pieces. Insert the needle under the horizontal bar on the other piece. Repeat steps 2 to 5 until your seam is complete. As you make progress, you shouldn't be able to see your seam, hence the name vertical invisible seam. Tip! If you're sewing up quite a large piece, use safety pins to align the two pieces. This will ensure that one side doesn't end up shorter than the other one.